L. Hermann came across this illusion in 1870 while reading a book on sound by John Tyndall. 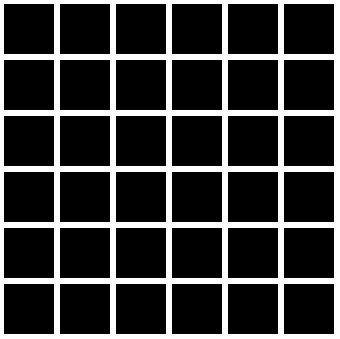 There seemed to be ghostly gray blobs between dark figures arranged in a matrix on a white background. If you look directly at a blob, it will disappear.